The location isn’t the greatest with respect to the beach, but the hilly rock-garden grounds are well-shaded, the welcome is warm and the staff particularly helpful. Average rating 6.6 from 345 reviews. Chunut’s collection of bungalows, located among stonework steps on the hillside, is just the kind of thing Ton Sai village needs but never seems to provide. Bungalow interiors display creative touches such as green things growing from sconces on the walls and raised platforms that are half-day bed for lounging, half mattress for sleeping. All the rooms have been upgraded to air-con, and come with WiFi, a fridge, TV and hot water. 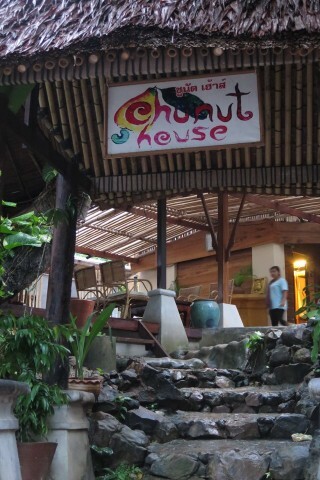 It’s a pity they don’t have a pool, but otherwise this is one of the few places on Phi Phi with a true guesthouse feel to it. Tucked away to the right side of the valley and up on the side of the hill, it’s about 10 minutes’ walk from the centre of Ton Sai and the beach. Definitely ask for a discount in low season; we were offered an air-con room for 1,300 baht.